In some cases there were major discrepancies between results and marketing. HP's Pavilion 14-al115na, for instance, is claimed to run for 9 hours, but in practice lasted just 4 hours and 25 minutes. Similarly, the Dell Inspiron 15 5000 managed just 3 hours and 58 minutes despite nominally being capable of 7 hours. "It's difficult to give a specific battery life expectation that will directly correlate to all customer usage behaviors because every individual uses their PC differently —it's similar to how different people driving the same car will get different gas mileage depending on how they drive," Dell told Which? in trying to explain the gap. HP meanwhile said that its battery testing "uses real life scripts and runs on real applications like Microsoft Office," and that particular specifications —like resolution —can impact power consumption. The Which? 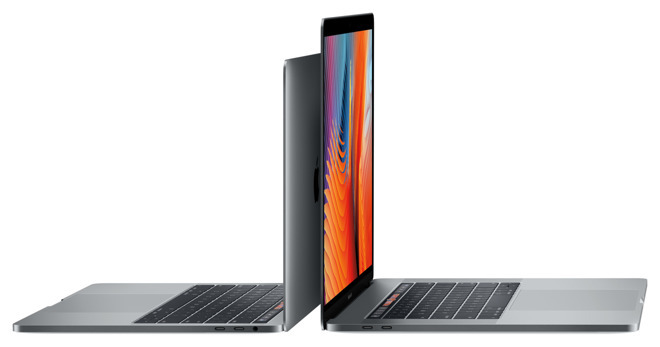 results are in some ways actually more conservative than ones generated by U.S. magazine Consumer Reports when it retested Apple's 2016 MacBook Pros. In the latter case, one unit managed nearly 19 hours. 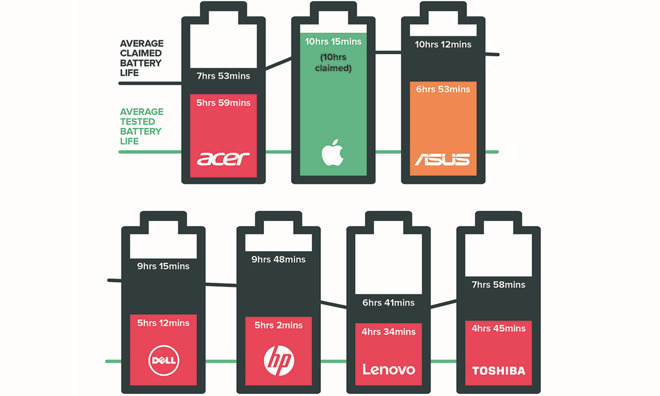 Consumer Reports originally delivered scathing numbers, suggesting that battery life could fluctuate wildly from as much as 16 hours to less than 4. Apple then intervened, pointing out that the publication had an obscure developer setting turned on in Safari that was triggering a bug and hence bad battery readings. The glitch was later resolved in macOS 10.12.3.